Are you still wondering what cassette you want to pop into your kinda cool new/old cassette player that your dad gave you for Christmas after he won it on eBay in the last five seconds? Because this cassette may just be it. 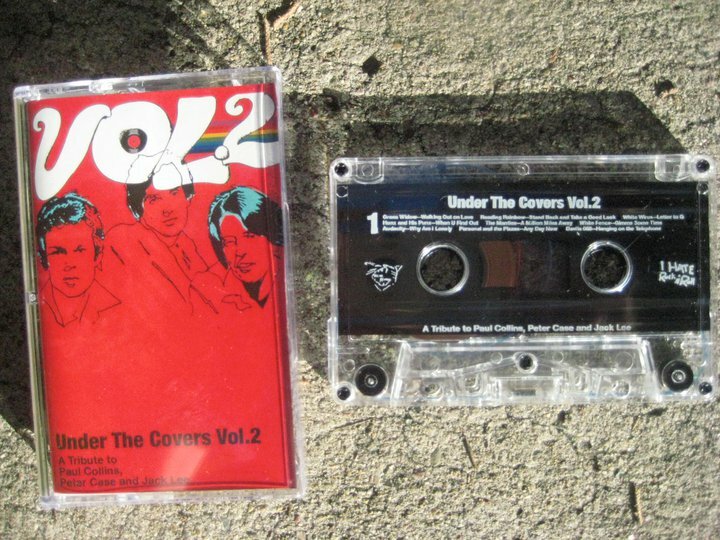 Volar Records and I Hate Rock 'n' Roll have teamed up to put out Under The Covers Volume 2— a tribute to Paul Collins, Peter Case and Jack Lee aka The Nerves. Some bands that we really like got on board and recorded some Nerves songs that we also really like! Check out the epic tracklist after the jump and download Davila 666's rendition of "Hanging On The Telephone" as well as Grass Widow doing "Walking Out On Love." You can also stream The Mantles' "A Million Miles Away" and White Fence's "Gimme Some Time." They'll only be 200 cassettes pressed so head here before they're all snatched. Also if your mom was trying to one-up your pops and got you a record player, sit tight, LPs will be ready in the coming weeks. Tim Presley of Darker My Love and White Fence handled the cover art. Download: Davila 666, "Hanging On The Telephone"
Download: Grass Widow, "Walking Out On Love"
Stream: The Mantles, "A Million Miles Away"
Stream: White Fence, "Gimme Some Time"